A recent Twistfix news article reported on the on-going success of a damp proofing project carried out by Twistfix-registered contractors at the historic Milton Keynes Museum. Part of the extensive renovation solution included the use of our professional DPC Injection Cream, available as part of the comprehensive Damp-Cure 6000 Kit. Until 28th February 2015, Twistfix are offering this essential product with a double-discount, bringing the price down to just £189.00, fully inclusive of VAT (£157.50 exc. VAT). The Damp-Cure 6000 DPC Injection Cream Kit is one of our best-selling products and, with so many qualities to boast, it is not difficult to see why. Emulsified without the need for additional thickening agents, the smooth, 100% active formula is easily applied, diffusing quickly and deeply into the microscopic capillaries of walls suffering from rising damp. The formula cures to form a strong, effective and lasting chemical damp proof course, stopping rising damp dead in its tracks. Injection holes are then made good using sand & cement whilst the cream is still in the hole or with mastic if post-diffusion filling is required. The Damp-Cure 6000 DPC Injection Kit includes, along with 3L of ready-to-use damp proof cream and 3L of refill, all required tools and accessories including injection nozzle with trigger assembly, two SDS drill bits and a pair of protective gloves. 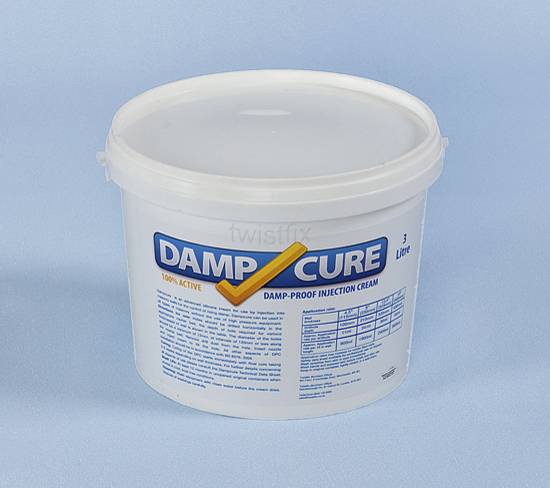 Quality is guaranteed when choosing the Damp-Cure 6000 Kit, as with our entire range of crack repair, damp proofing, insulation and basement waterproofing products. 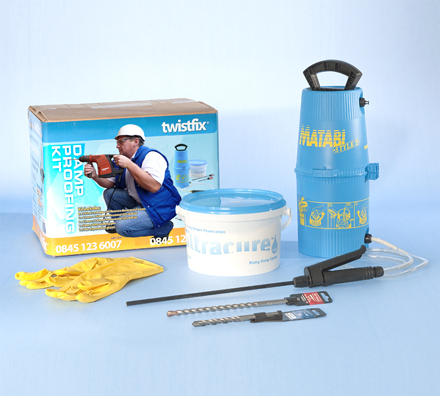 Order soon to take advantage of the Twistfix Double Discount! 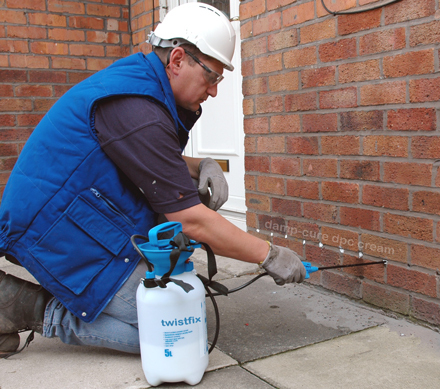 For more information on getting the most from our range of damp proofing solutions, please call the Twistfix technical team on 0845 123 6006 or email sales@twistfix.co.uk.